Known to United States viewers primarily for his role as a former judge on NBCs Americas Got Talent and as the winner of Celebrity Apprentice, Morgan has had a long career in journalism in the United Kingdom as a newspaper editor and, more recently, as the host of the popular television interview program Piers Morgans Life Stories. He is now bringing his penetrating interview style and gift for unearthing the surprising detail to American television and to CNN viewers around the globe with his primetime interview show, Piers Morgan Live. Morgan began his career as a reporter for The Wimbledon News and then as a columnist at The Sun. In 1994, when Morgan was 28 years old, Rupert Murdoch appointed him the youngest ever editor of the News of the World, and the youngest national newspaper editor in Britain for 50 years. Two years later he moved to the Daily Mirror, where he served as editor-in-chief from 1995 until 2004. The paper won numerous journalistic awards including Newspaper of the Year at the prestigious British Press Awards in 2002 for its coverage of 9/11. After his controversial departure from the Mirror, Morgan went on to become a best-selling author, a regular media columnist, and host of his own interview programs on the BBC and ITV, as well as appear as a judge alongside Simon Cowell on the No.1-rated show Britains Got Talent. After leaving the Daily Mirror, Morgan began writing a monthly interview column for GQ magazine where he interviewed some of the biggest names in global entertainment and politics. In 2004, he moved into television, co-hosting a Channel 4 current affairs show, Morgan & Platell, and two BBC interview shows, Tabloid Tales and You Cant Fire Me Im Famous. 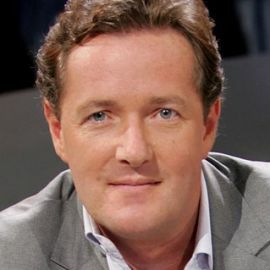 In 2008, Morgan joined ITV, where he hosted a documentary travelogue show called Piers On, reporting from cities including Shanghai, Las Vegas and Dubai. He also developed a new talk show, Piers Morgans Life Stories, where he conducts one-on-one intimate and lengthy sit-down interviews with celebrities, business and political leaders, including Prime Minister Gordon Brown. It has been consistently the No. 1-rated talk show in Britain for the last two years. In September 2010, CNN announced that Morgan will host a candid, in-depth newsmaker interview program on the network. Piers Morgan Tonight premiered on January 17th 2011. In March 2013 the programs name changed from Piers Morgan Tonight to Piers Morgan Live. Piers Morgan Live airs weeknights on CNN/U.S. 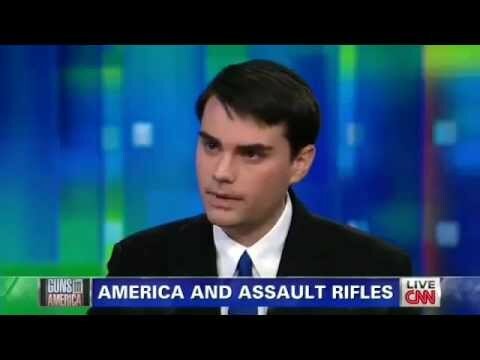 at 9 pm ET/PT and also airs worldwide on CNN International in more than 200 countries. He is based in New York, and also works from Los Angeles and London. Piers Morgan is to present a new TV series which will see him visit maximum security prisons and meet some of America's most notorious female killers. Killer Women with Piers Morgan, which will air on ITV, will see the MailOnline columnist travel through the southern states of Texas and Florida to meet some of America's most notorious female murderers. Over two hour-long episodes Piers will venture behind bars to give an in-depth look at three very different complex cases. Bill Maher and Australian comedian Jim Jefferies ripped into Piers Morgan on ' Real Time' after Morgan defended Donald Trump's Muslim ban. British TV personality Piers Morgan and British author J.K. Rowling are in a Twitter war over American politics. Comedian Jim Jefferies ripped apart Piers Morgan on live TV. Australian comedian Jim Jefferies flipped Piers Morgan the bird and told him to "f — off" on Friday's episode of Bill Maher's "Real Time." Co-host on "Good Morning America"
Co-Anchor of an Hour of CNBC's "Closing Bell"
Co-Anchor of CNN’s Morning Show "Early Start"